This week, The Texas Tribune sat down with top lawmakers, advocates, local officials and more at Texas A&M University for a symposium on rural policy and affairs in Texas. Our conversations dived into the future of rural education, health care, natural resource preservation and infrastructure investment, and we explored the political climate in rural Texas and the state's economic future. You can watch videos of the symposium's panels below — plus, you can click this link to learn more about the event. Additionally, organizations across the state convened Texans for live watch parties of the symposium in their local communities. View a list of these watch parties here. 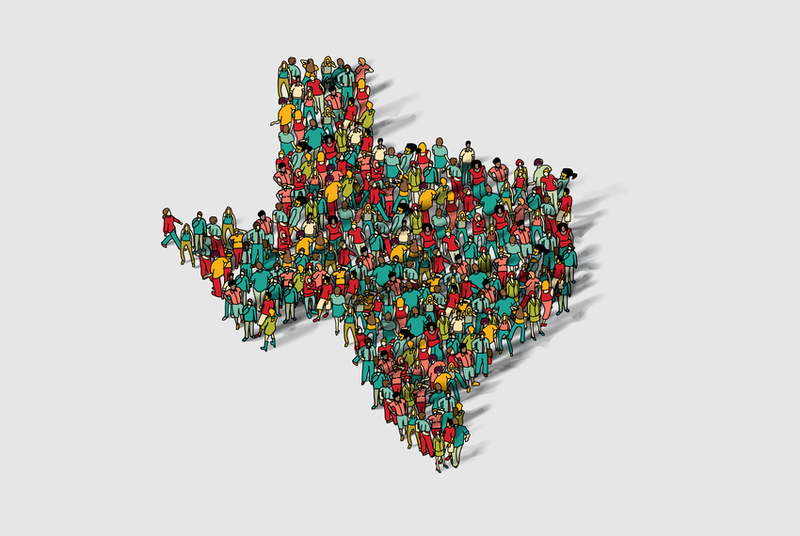 In tandem with this live event, the Tribune has produced a Community Conversations Toolkit on Texas rural issues to help you bring the event to your community and catalyze a constructive dialogue on the most pressing issues for rural Texas communities. This involves fostering spaces where community leaders, neighbors, local business officials and other stakeholders can connect with one another, share stories and reach possible solutions. We know that many Texans interested in these issues may not be able to travel to College Station nor be able to view the livestream or video. That’s why we’ve created the “Future of Rural Texas Watch Party and Community Conversation Toolkit” — a step-by-step guide to hosting event watch parties in your community and sparking meaningful conversations on how issues discussed at the event impact you. We hope this toolkit will help you convene these conversations. Download our "Future of Rural Texas Watch Party and Community Conversation Toolkit" here. If you’re thinking about hosting a watch party or community conversation in your community in tandem with this event, please let us know by filling out this brief form so we can share your event with our readers. All we ask is that you report back to us on the outcome of your discussions. Featuring state Reps. Trent Ashby, R-Lufkin; Drew Darby, R-San Angelo; Mary González, D-Clint; Poncho Nevárez, D-Eagle Pass; and Four Price, R-Amarillo. Moderated by Evan Smith, co-founder and CEO of The Texas Tribune. Setting the Table: What is Rural Texas? Featuring Kim Alexander, superintendent of the Roscoe Collegiate Independent School District; former House Public Education Committee Chairman Jimmie Don Aycock, R-Killeen; Sylvia Leal, senior program officer for education and economic development at the T.L.L. Temple Foundation; and Cheryl Sparks, president of Howard College. Moderated by Alana Rocha, multimedia reporter for The Texas Tribune. Featuring Will Conley, chairman of CAMPO and a former Hays County commissioner; state Rep. Celia Israel, D-Austin; state Rep. Ben Leman, R-Anderson; and Bill Stockton, executive associate agency director for the interdisciplinary research group at the Texas A&M Transportation Institute. Moderated by Brandon Formby, urban affairs reporter for The Texas Tribune. Featuring Blair Fitzsimons, CEO of the Texas Agricultural Land Trust; state Rep. Kyle Kacal, R-College Station; Roel Lopez, director of the Texas A&M Natural Resources Institute; and Lara Zent, executive director and general counsel of the Texas Rural Water Association. Moderated by Andrew Sansom, executive director of the Meadows Center for Water and the Environment at Texas State University. Featuring Donnie Allred, Oldham County judge; Shelley Brophy, mayor of Nacogdoches; Alma Moreno, San Patricio County commissioner; and Ramiro Rodriguez, mayor of Palmhurst. Moderated by Evan Smith, co-founder and CEO of The Texas Tribune. Featuring Becky Garlick, executive dean of Blinn College; Marilu Hastings, vice president for sustainability at the Cynthia & George Mitchell Foundation; Arleene Loyd, executive director of the Gainesville Economic Development Corporation; and Ines Polonius, CEO of Communities Unlimited. Moderated by Alana Rocha, multimedia reporter for The Texas Tribune. Featuring Debra Flores, director of the West Texas Area Health Education Center at the Texas Texas University Health Science Center's F. Marie Hall Institute for Rural and Community Health; John Henderson, president and CEO of the Texas Organization of Rural and Community Hospitals; Susan Rushing, CEO of the Burke Center; and state Rep. J.D. Sheffield, R-Gatesville.